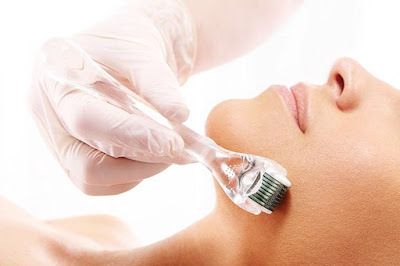 Scenario of Life: Microneedling: An Immense Contribution to the Beauty World! Microneedling: An Immense Contribution to the Beauty World! Have you ever wished for those pesky acne scars to go away? And what about those stretch marks? Everyone has something they wish would go away. Thankfully, there is actually something that can get rid of most blemishes and scars. The wonder solution is Microneedling, which sounds a lot worse than it really is. Also known as Dermarolling, it is the procedure of using a device that literally rolls tiny needles across your face. Or if you are using the Derma Pen which stamps the needles into your skin, which is not my preferred method because if not used right it will pose a greater risk of injury. 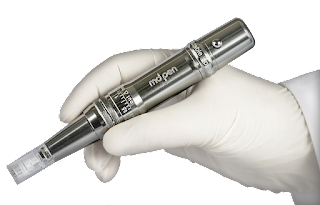 Microneedling feels more poky and scratchy, rather than that sharp pain person associates with needles. It should be noted that due to this potential risk of injury if the device is used wrong, dermatologists recommend having the procedure done in their offices. However, the average price of one procedure is around $150 which is not exactly cheap. Thus, many choose to dermaroll at home which is not bad as long as it is done correctly and safely. So, you are doing this is at your own risk. Dermatologists also advise that if you want to do this at home then use a shorter needle to minimize the risk of injury and infection. Cleanliness and safety are the keys here. Microneedling stimulates the collagen and elastin production of your skin. It improves the firmness and texture of the skin. It can help in fading the appearance of stretch marks. It's also proven to improve or even fade most scars except for keloid scars. It helps in reducing hyperpigmentation by shedding the top layer of skin. It will improve the appearance of rosacea by upping the production of collagen. It can also minimize hair loss such as that caused by Alopecia. Microneedling decreases pore size, fine lines, and wrinkles; and increases the skin absorption of serums, essences, and other treatments. To combat hyperpigmentation, the ideal needle size is 0.25-1.0mm. For fine lines, creases and wrinkles, you are looking for a 1.0-2.0mm size needle. Scars and burns would require a 1.5-2.0mm needle. Hair loss would greatly benefit from a 0.25-0.50mm needle. And since the skin around the eyes is so delicate, you would want to stick to a needle in the range of 0.25-1.0mm. Again, it should be reiterated that extreme caution needs to be practiced since with dermarolling you are essentially creating little injuries across your face which can turn into a larger injury if not done right. And with a derma-pen, there is a higher chance for pinpoint bleeding since it is stamping onto the skin. Soak all tools in an alcohol and water mixture, and be sure to rinse them under water before using them. Wash skin with your regular cleanser and pat dry with a towel. Apply a numbing cream across your face; there are several good ones such as this one with lidocaine in it from Amazon. You are very brave if you skip this step. Leave the numbing cream on for about 20 min. Prep face by using astringent or another alcohol and water mixture to remove the numbing cream and ensure the face is 100% clean. Also, make sure that your hands are equally as clean. Starting on your cheek, if using a roller, run the derma-roller across in several strokes upwards and then in strokes across the skin. Then continue with upwards and across passes on the forehead, nose, and chin. Important: Do not apply pressure to the skin with the device. After the procedure, soothe the micro-injuries on your skin with a sheet mask of your choosing. Leave this on for about 20 min. It is easy to include in your Sunday night skincare routine since you only need to dermaroll every 4-6 weeks. It really shouldn't be done any sooner than that since you need to give your skin some time to heal and recover. 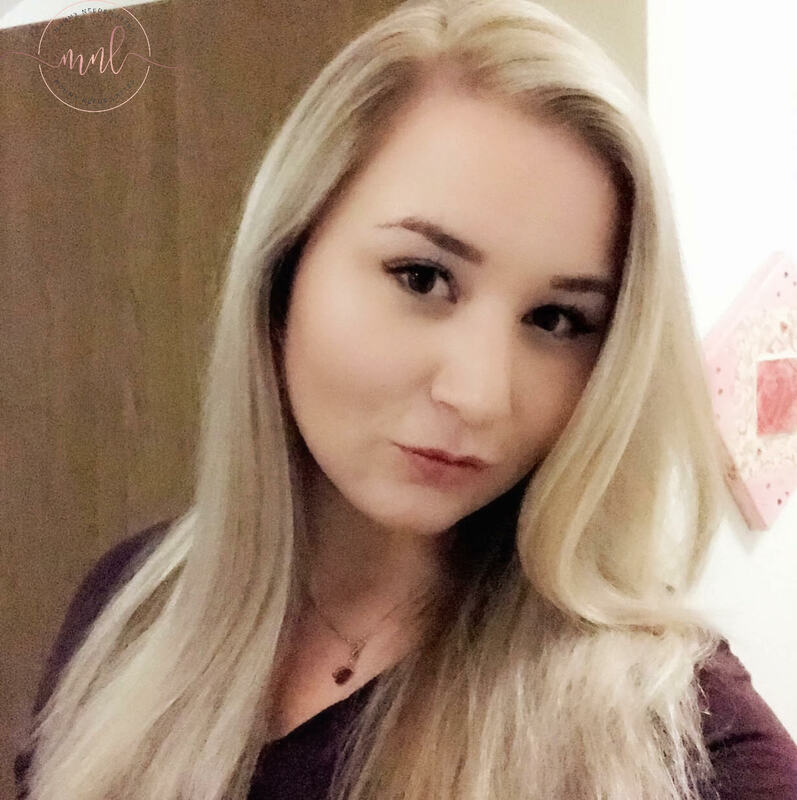 I hope you will find your best skin yet with microneedling! She is Vanessa Bywater from the "Mommy Needs Lattes" blog. It is a website that represents the beauty addicts, the coffee enthusiasts, the fabulous, the adventure seekers and anyone who wants to be the best version of themselves. There you will find posts about lifestyle, travel, recipes, parenting, beauty and so much more. I had never heard of microneedling before. Nor seen this device. I don't do much to my skin and let it be. But it never was difficult. I have always wanted to try using a derma roller but get scared thinking I'm going to end up destroying my skin at the end but I have see good reviews and results and I think that one day I will have to give in and try it. I feel fortunate that I don't have any acne or scar problems. From the review, it seems like micro needling can be an option for people who are dealing with scars or acne problems. I would give this a try. My skin could use the help. I wish it were cheaper though. I could probably do this once every six months. 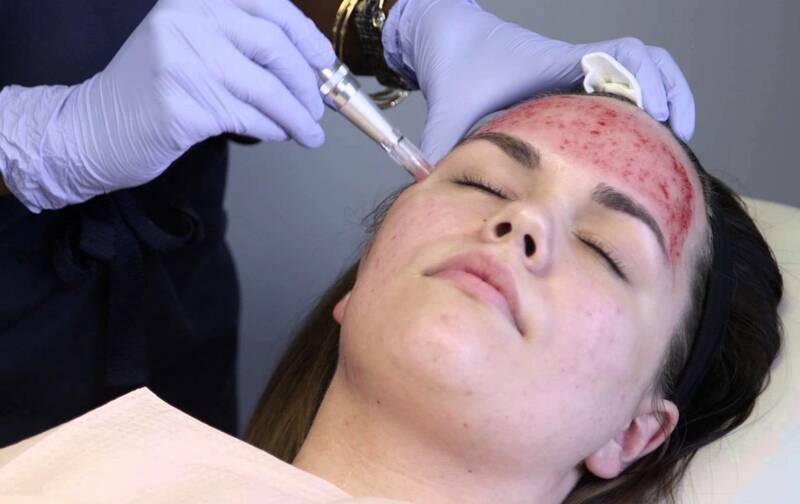 Microneedling looks like a good option for those with facial scarring. I don't think I would try it though. I’ve always wanted to try this but was nervous and afraid! Thanks for sharing, now i feel braver! I've used a very small needle at home and it has made a great difference to my skin, my skin looks so much better for it as well. Though I'm not sure I could cope if it had made me bleed. I never heard of this therefore I guess I would go to the doctors office for the procedures. I have some acne scars that I wouldn't mind seeing go away. I have never heard of this procedure before. It sounded a little scary at first, but you provided detailed information to answer important questions. I have never heard of Microneedling before. It sounds like it has a ton of great benefits. I will have to look into giving it a try. I'd heard of microneedling before, but I've never had an opportunity to try it. And truthfully, it does sound super scary to me. I have an olive complexion which scars more easily than lighter skin tones. But I really enjoyed reading all of this fabulous information! Thanks so much for sharing it. I have heard of this technique before. I have tried it too. It's very good technique and it helps you achieve good results for your skin. This sounds amazing, I have heard quite a bit about it already and the people you speak to that have tried are really seeing results and love it but personally I don't think I oculd bring myself to do it, especially nor at home myself. I would try it by professionals but as you said that is rather pricey, hopefully it will become more affordable in the future. This is so new to me! I am interested to try it once. I will be scared to do it myself though. I like all the benefits it can give. I am always thankful I never had acne that badly. This sounds like a great option for those that do. Omg I never seen this before although I have heard but it's really very scary for me. But you did really well and great post.